Martha Brockenbrough kicks off our pre-conference interviews leading up to the 14th Annual SCBWI Winter Conference in New York City, February 1-3, 2013 with author Meg Rosoff! Meg's books have won or been shortlisted for 18 international book prizes, including the Carnegie medal, The Printz and the Orange first novel prize! 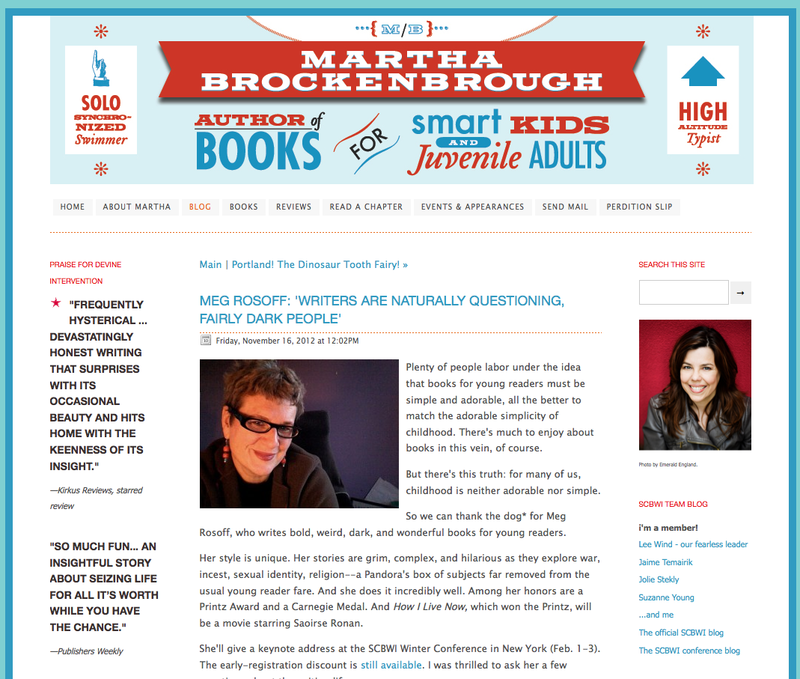 In this great interview with Martha, Meg describes how the process of writing each of her books has been different, what fascinates her about "difficult topics," and what she's learned along the way that she wishes she'd known when she started. "So When Are You Going to Write a Real Book, You Know, For Adults?" Now I'm even more excited to hear her! You can be there, too. Early registration is still available.